Hope everyone had a good weekend, its a lovely mild start to the week here and we hope it continues up to St Patrick’s day on Friday! Here are a few of our recent Shiny Moments…. A surprise package from the lovely Amber at Primp and Style…..this grey suede and leather bag is divine and just perfect for S/S outfits. A lovely bunch of daffodils from a good friend, flowers always guarantee to brighten the day…. Eyeing up all the jeans at the new POCO by Pippa pop-up store in Dundrum! 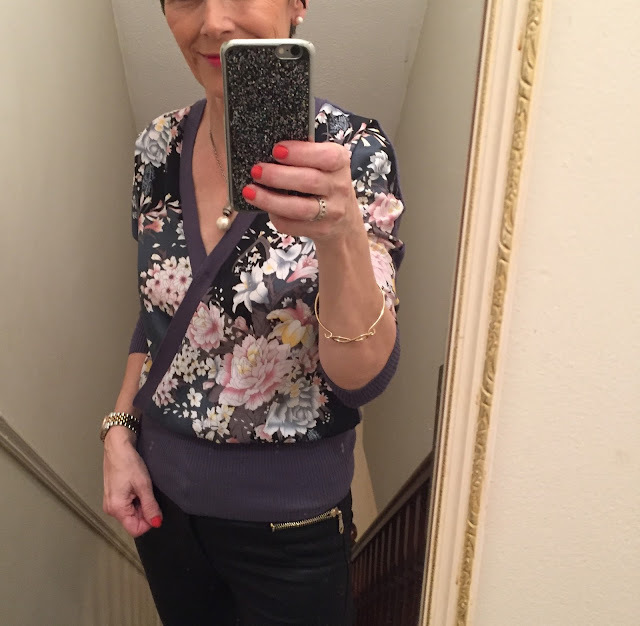 I’m wearing The Slimmers here and I will definitely be investing in another few pairs, as they are only fab! !